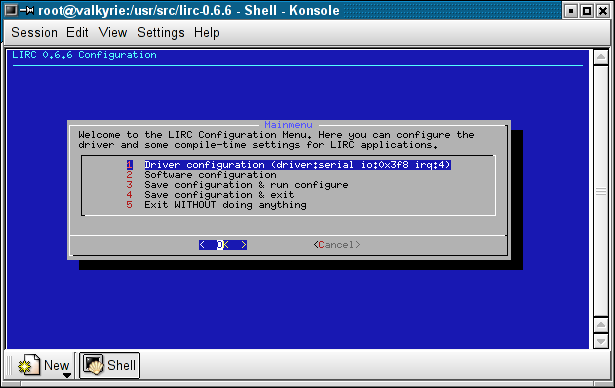 If you have a Linux box Lirc is the software you want to install. It's rathar easy to setup, the following instructions will give some hints. [-] First download the software from the lirc website. I strongly recommend not to use any .deb or .rpm package as they tend to make everything more complicated. Alternatively, if you are using the character version of this program, you should see a list of numbers, spaces, and pulses. What is this all about? 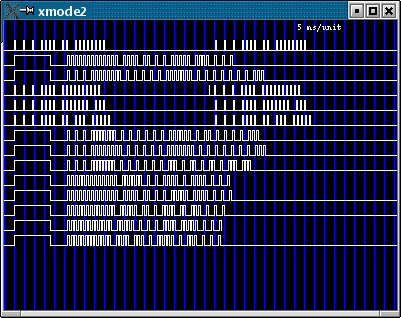 It's the graphical representation of the IR pulses, a sort of IR oscilloscope. If you can see the pulses when you press the remote control buttons, you can be sure the hardware is almost basically working. Each button should generate a different "wave" from the others, but always the same if you press it more times. You can repeat this step many times, for many remote controls. The name you give to each button is important, because the applications will later receive ths name as the even from the lirc daemon. Once the learning phase it's finished, you can test your configuration with "irw". 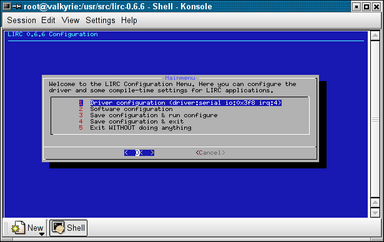 You have first to restart lircd to let it read the new configuration file. After this, run "irw" and press the buttons on your remote: irw will show the *name* of each button when it's pressed. The first section controls the volume: the "prog" line is set to mplayer; the "config" line is the message that is sent to the mplayer program. In this case we tell mplayer to increase the volume by 1 unit. The "repeat" line is set to 1, so the message will be sent multiple times if the button is kept pressed. The following sections are similar, decrease the volume ("volume -1"), seek by 30 seconds, and the pause functrion. Note the pause function has "repeat" set to 0, because it doesn't make sense to continuosly switch between pause and play mode when we keep that button pressed! For a complete list of the commands, see the mplayer documentation. The third approach is very interesting and you will be able to set a new pointer in your X11 or gpm configuration; lirc mouse emulation supports even the mouse wheel used to scroll documents! Follow the lircmd instructions for a detailed setup. The fourth mode is quite technical and I redirect you to the relevant section of the lirc documentation: irpty allows you to feed programs with keystrokes depending on which button you pressed on the remote. irxevent sends mouse clicks and key presses (in other words, X11 events) to X applications.